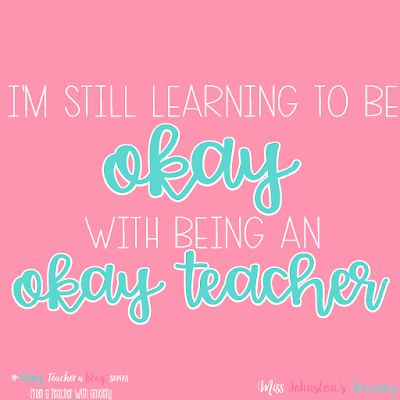 I'm still learning to be okay with being an okay teacher. 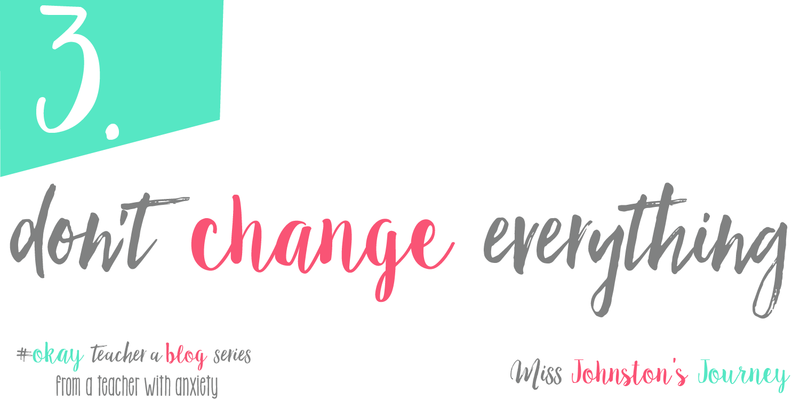 One year ago, I finally published a blog post that had been written in my mind for months. It was a way for myself to admit that I had anxiety, and that was okay. I never imagined the response I would receive from friends, family, and strangers that feel like friends on the internet. The emails, the DMs, the comments, they assured me I wasn't alone. A year later, here we are... I rarely go a week without someone new finding that blog post and sending me a DM on Instagram, or shooting me an email. Please know that I have read every single one of them. I have tried to respond to them all, but I'm sure there are some that I have missed. I'd like to reflect on a couple things I have learned the last year. Bare with me, as I may start to ramble. Depression and Other Magic Tricks by Sabrina Benaim. I've learned, through therapy, some of my triggers. One of my core beliefs is not being good enough. Before you say "Oh, but Lindsey, you're more than enough. Look at everything you've accomplished." etc, etc. Please don't try to fix someone's struggles with comments like these. I know you mean well, but even though I have a pretty big social media presence, I don't share everything. And that is okay. I don't share when I get an angry phone call or email from a parent which makes me doubt my abilities as a teacher, and triggers me. I don't share the times when I feel so overwhelmed, I just cry in the shower, or take a nap to avoid my piles and piles of responsibilities, and triggers me. I don't share the times that I purposely cancel plans with friends because I just want to be by myself, and triggers me. So when people tell me "Oh, but you are enough." It's almost a reminder, at my low times, of how much more I could be doing. Many people have reached out to me for support and advice. The thing is, I'm not a doctor, and everyone's experiences with anxiety, depression, and other mental illness are different. I can tell you what works for me, but that doesn't mean it will be effective for you...and that's okay. I subscribe to The Mighty's newsletter, and it's very helpful and reaffirms that I'm not alone. I really like this post about red flags that mean it's time to get help for your anxiety. I know therapy isn't for everyone, and it can be really scary telling your problems to a stranger (I literally had a panic attack the day of my first appointment), but it was the best thing I could have ever done for myself. It has helped me to understand why I have the thoughts that I do, what triggers them, and how to cope with the thoughts. You can have good days! Good weeks! Even good months! It is okay to celebrate the good. I try to do that on Instagram. If I shared all of the bad, I'd think my feed would become pretty sad, and I know it is a place many people come for inspiration and ideas. On the flip side of that, I don't want to give the impression that I'm "cured" of my anxiety. Even if you don't struggle with mental illness, it is okay to showcase your flaws and struggles. In fact, I think that makes you HUMAN! It is quite the trend on social media, Instagram especially, to only show the "Pinterest perfect classroom", but that can be problematic. It can put unrealistic expectations onto your followers....and although you may not be doing so intentionally, it can happen. So I encourage you to show your stack of ungraded papers from a week ago, your hot mess desk, or your unorganized classroom library. Your followers will relate to you, I promise. Finally, I want to reiterate a post I made this summer in regards to #okayteacher. I think what I was so nervous about last January in sharing my story was that people would think I was doing it for attention. Mental health has a stigma, and some people assume you share your story for attention. That's not what I wanted to do at all. #okayteacher is not a gimmick. It is not a social media hack to get followers. It is not for attention. It is not for pity. It is for awareness. It is for mental health. It is for every teacher who has ever felt like they were drowning. It is for every teacher who has ever felt guilty. 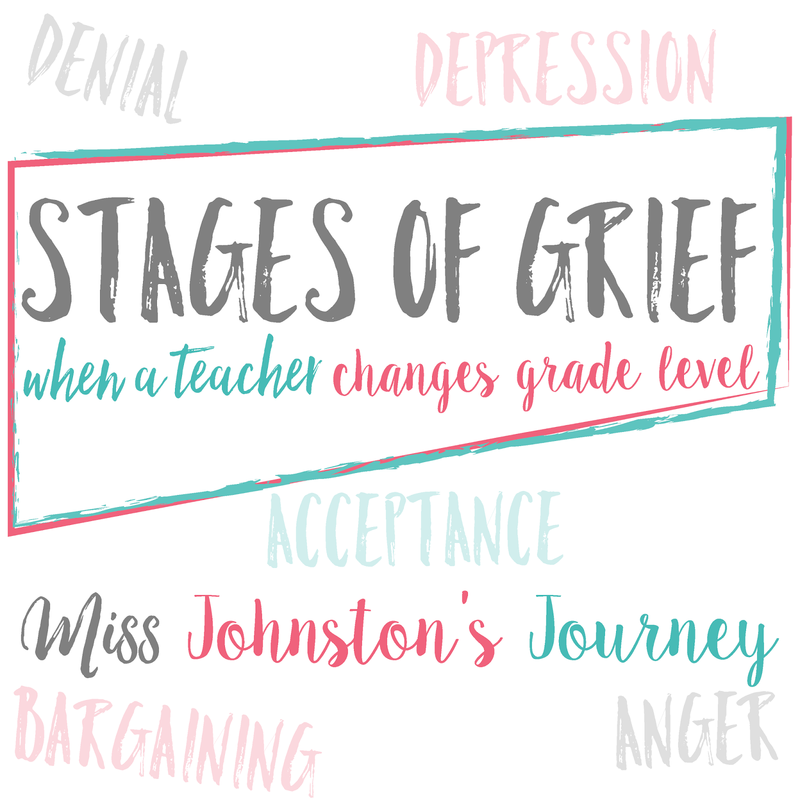 It is for every teacher who is struggling with something that NOT A SINGLE PERSON CAN FULLY UNDERSTAND, because every person's battle with anxiety, depression, and mental health is different. Mental health is not a joke. It is nothing to be made light of, and it is nothing to be ashamed of. Mental health has a stigma because people don't talk about it. If people did, it would become as normalized as the flu. 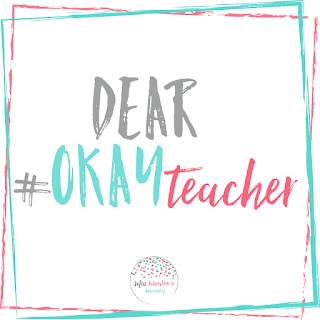 If I reach out to you to explain #okayteacher, please listen. I'm trying to shed light on an issue that thousands of people are struggling with EVERY DAY. Something I struggle with EVERY DAY. So please, please, do not take my attempt at educating you as an attack. You don't have to understand anxiety, depression, or any mental health condition, but you should be able to understand why something that I feel so strongly about with every fiber of my being is being used as a gimmick upsets me, and rocks me to my core. And before you use it on your posts, please, please, try to learn the meaning behind it. 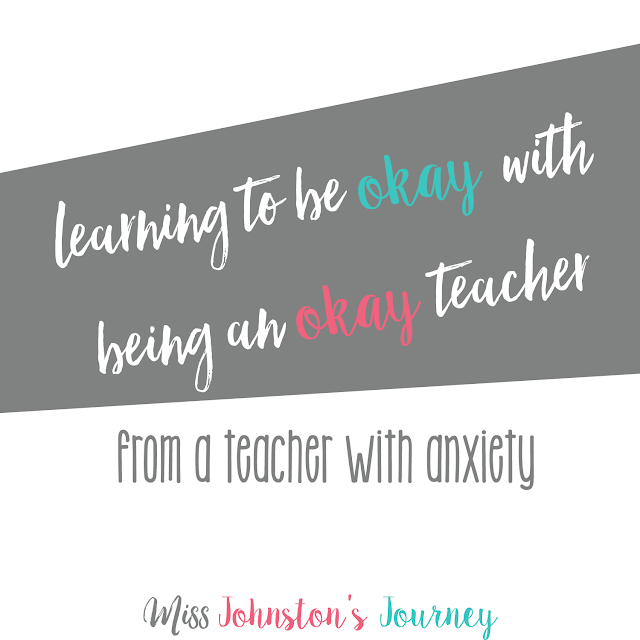 And if you have no idea where all of this stems, please go to missjohnstonsjourney.com and read the post "Learning to be okay with being an okay teacher". If you ever have any questions about my struggles with anxiety and depression, please ask. Please know that if you are one of the thousands struggling, you are not alone. I am with you. I am here to listen to you. 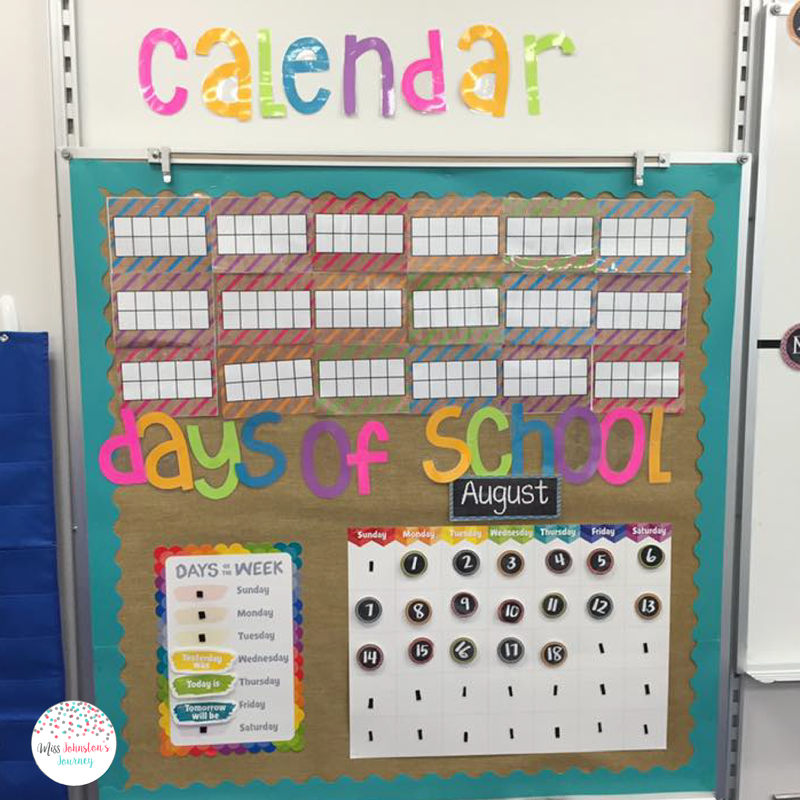 Summer is winding down, and the reality of back to school is upon us. You may have spent your summer Netflix binging, crossing off books on your reading list, spending time with your family and friends, planning for the school year, shopping at Target, or teaching summer school. However you spent your summer, I hope it was what you needed. 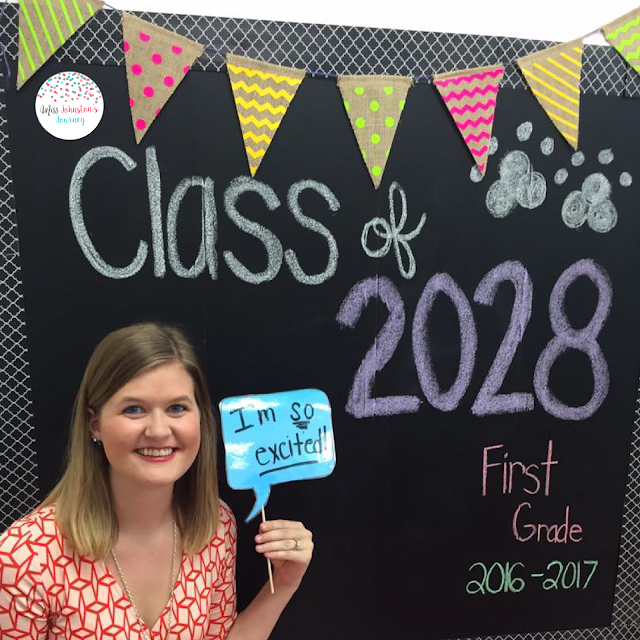 Heading into the new school year, you may be becoming anxious. 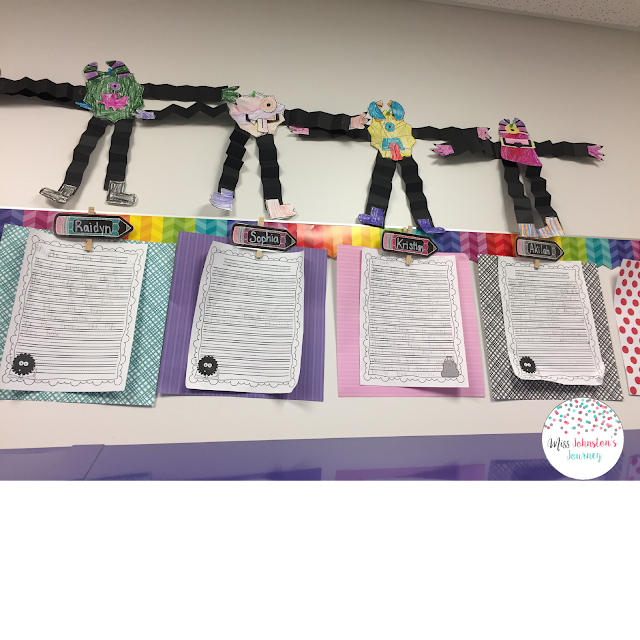 Anxious about your to do list, anxious about a grade or building change, anxious about how you'll balance it all, anxious about many things. That's okay. It's normal. 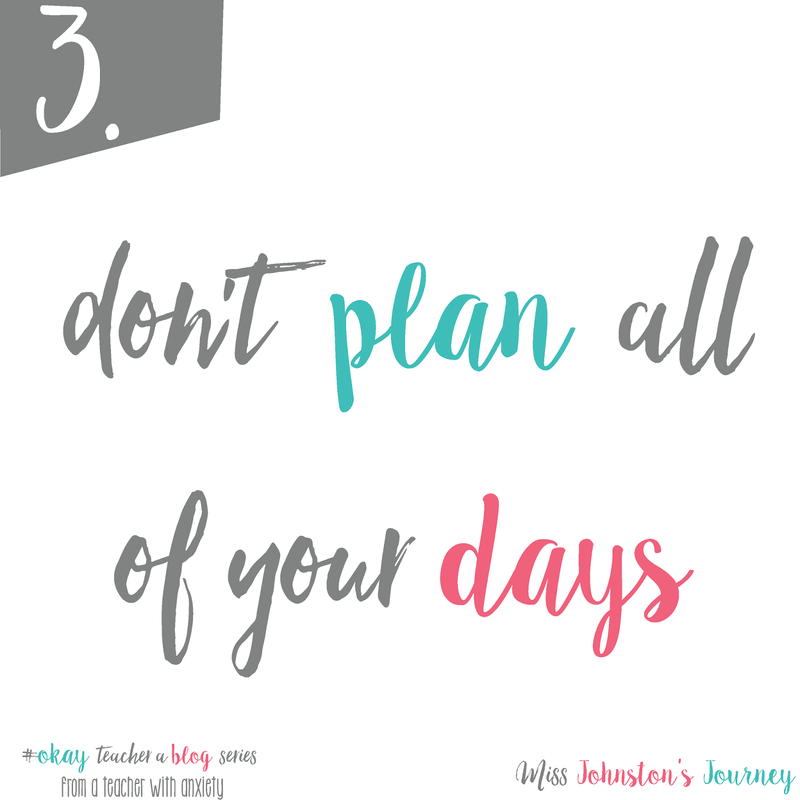 Take the time now, to set up a plan of action that will help alleviate some anxious feelings. Decide the time of the year that you feel most anxious. Got it? Good. Now plan a sick day around that time. Write it in your calendar. Write it into your plans. Get a sub lined up if you can. You need a mental health day. Your students need you to take a mental health day. 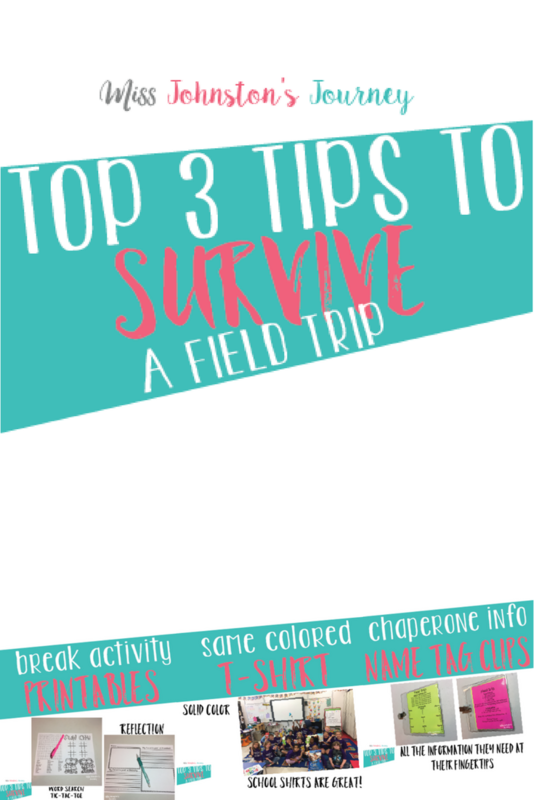 Your students will survive. 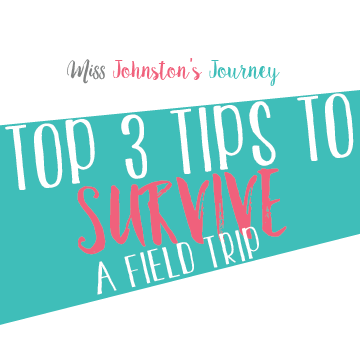 Your classroom will survive. You will continue to be amazing. Write a letter to yourself right now reflecting on the past school year, whether it was your most amazing year ever, or a year where you felt like you were drowning. 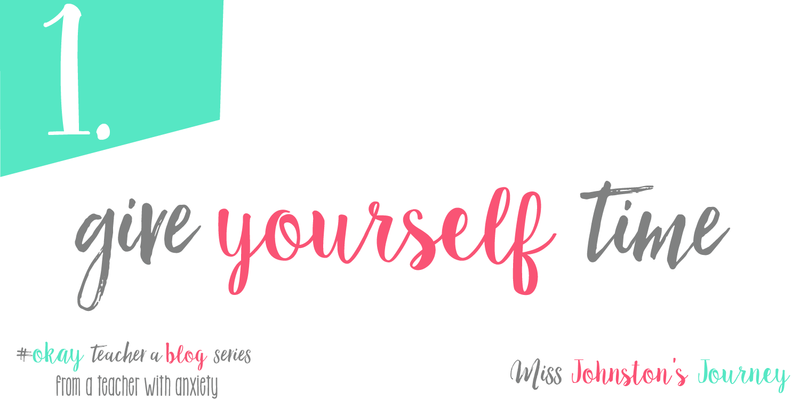 Give yourself a pep talk. Take advice from yourself. You should be your biggest cheerleader. Because at the end of the day...who are you going to listen to...me or yourself? Then, when you're having a rough day, open that letter, and read it. Remember that you are amazing. You have, in my opinion, both the hardest and most rewarding job in the world. 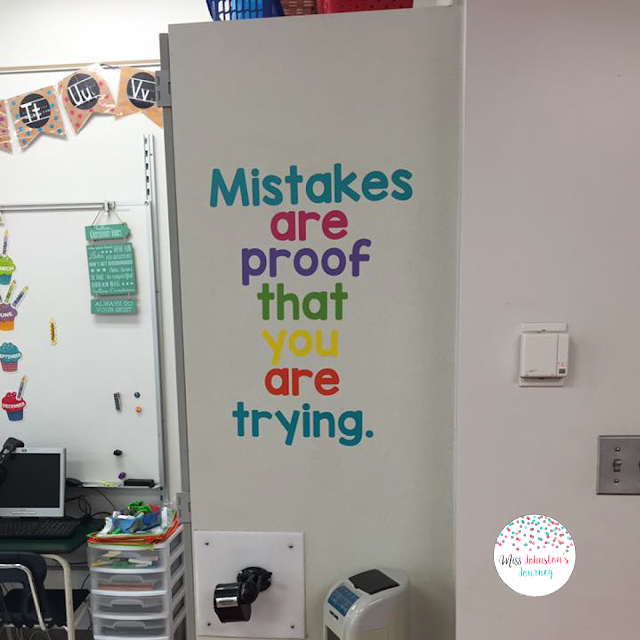 There is a reason you became a teacher, and although on our hardest days, it can be a struggle to remember that reason, you have to remember it. Consider writing it in your planner, or on your phone. Wherever you can easily see it on a regular basis. Finally, have an okay year. I say okay, because whatever type of year you have...you will be okay. 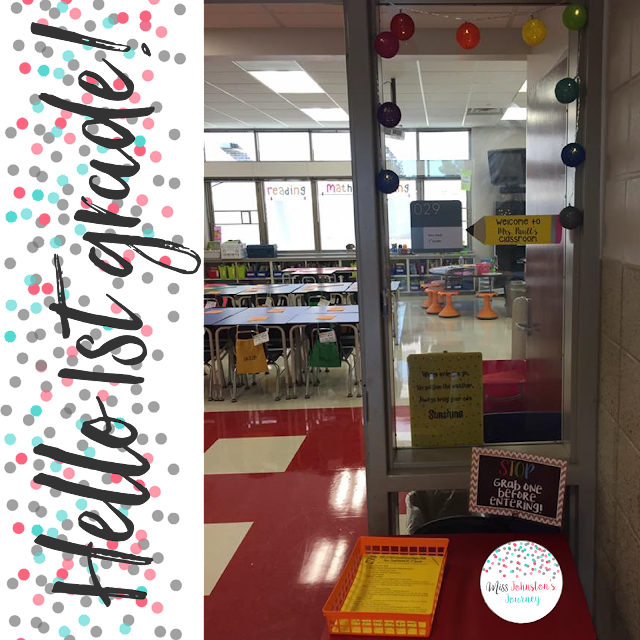 You can plan all the things and have the best color coordinated fantamazing (fantasic/amazing) classroom you've ever dreamed of and more! 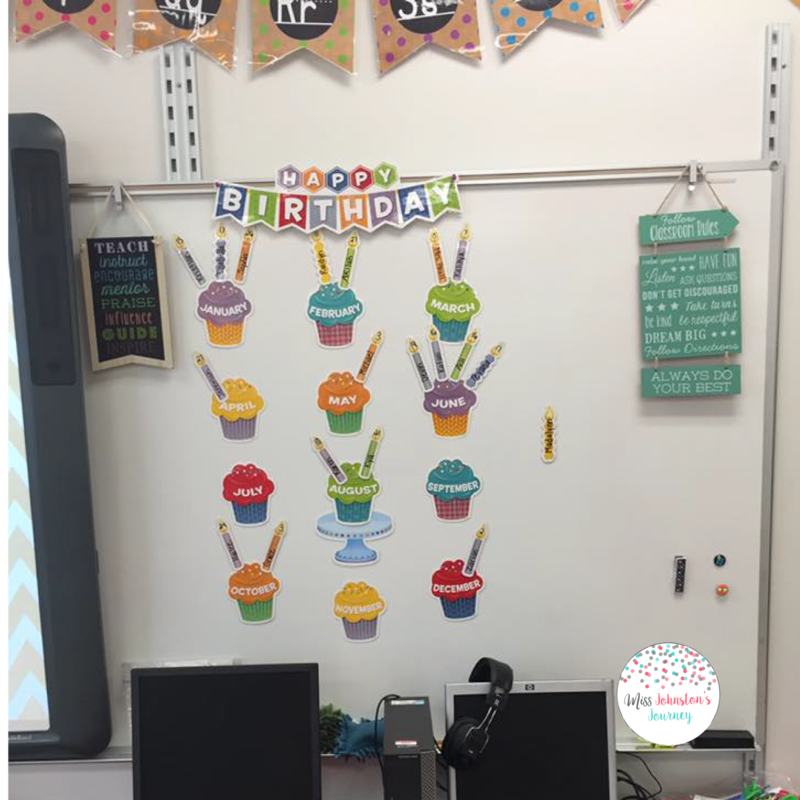 You can also have a simple classroom with lesson plans that engage, but don't drain your bank account. Either way, its okay. It is always okay be okay. 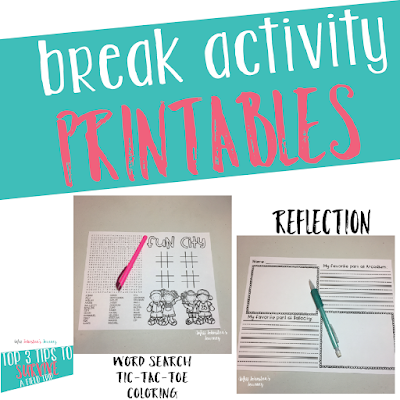 As teachers, we use summer to re-energize, relax, and reflect. We also make big to do lists with ideas that both excite us and haunt us, as they tend to be really time consuming. Do we have to do it all? Absolutely not. Here are my top tips to help you make the most of your summer. As you read this post, you may not even be on summer break yet. The last thing you're thinking about is the 2017-18 school year. That is okay! Give yourself time to step back from school and the classroom. That may be a day, a weekend, a week, or a whole month. However long you give yourself, enjoy it. Enjoy your family, enjoy time for yourself, and enjoy NOT being in the classroom. We all know that we deserve it. 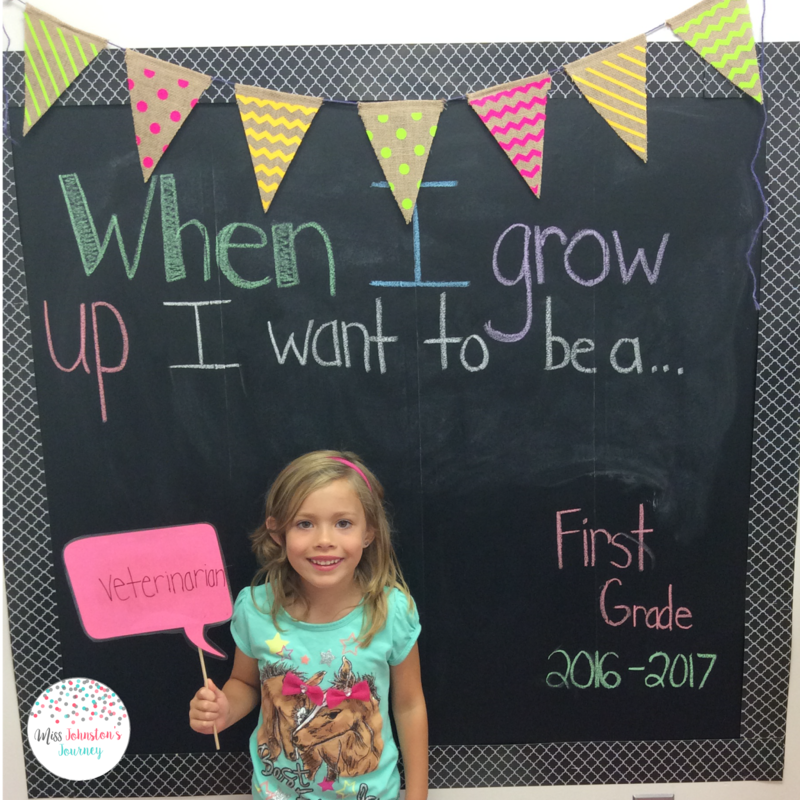 Do not feel guilty about not already planning for the next school year. 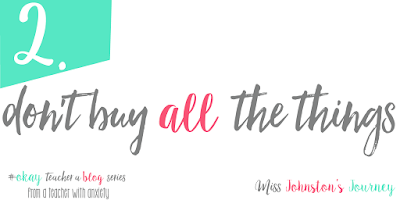 Don't buy all the things. I use to be a big supporter of #buyallthethings. 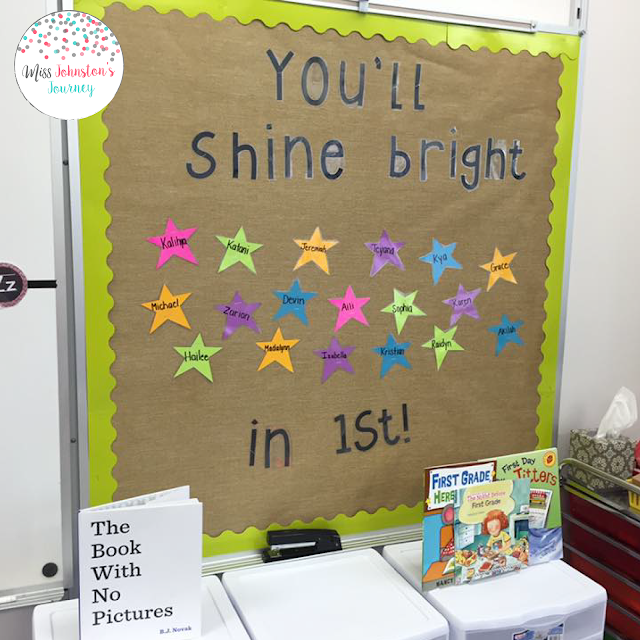 You're going to see so many trends this summer for the next school year. Take ideas, take inspiration, but don't feel pressured or guilty to buy all the cute things at Target. Ask yourself, "What am I going to use this for?" If you don't have an almost immediate answer for it, you don't need it. Again, don't feel guilty when you're not doing everything everyone else is doing on social media. You can't keep up with the Jones' and you don't have to! Your kiddos will love you and their classroom all the same. 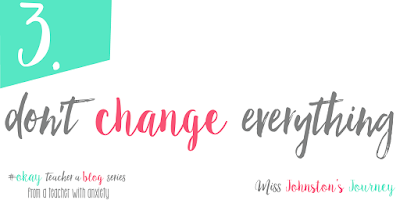 As teachers, we take summer to think about how we can change things in our classroom for the next school year. 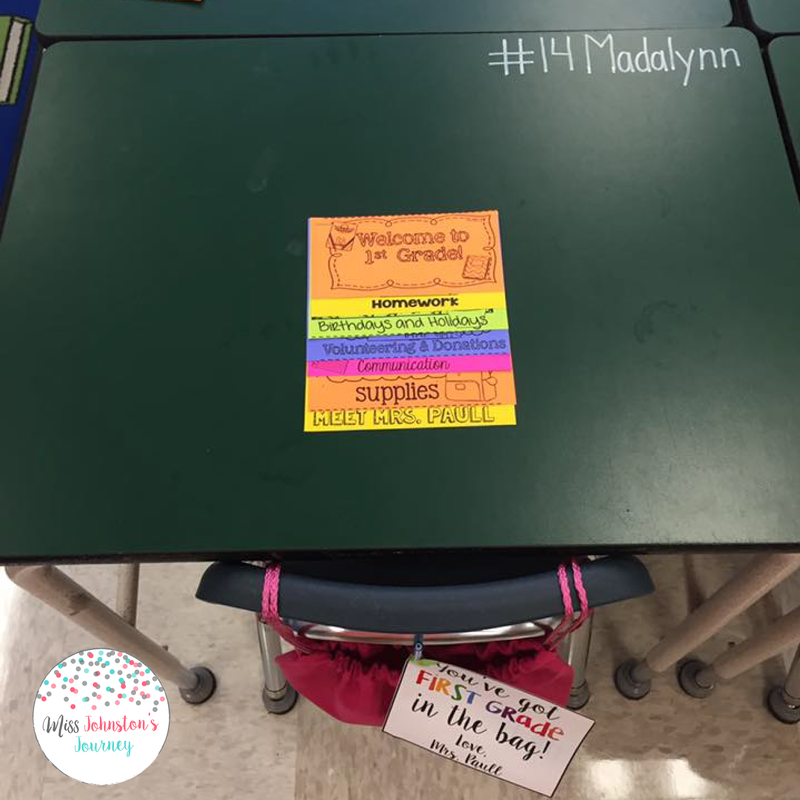 How to make things better for us and our students. Which you should do. Summer is wonderful for reflection. However, be careful, and give yourself grace. 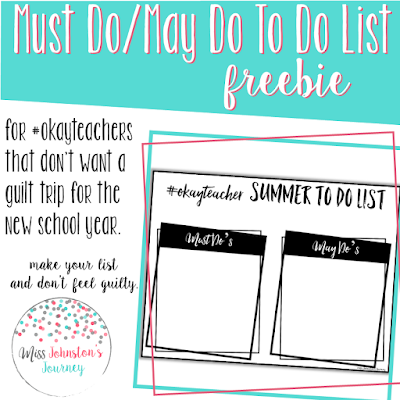 Don't make a mile long list of things for you to do before August or September. Because then the school year will roll around and you're going to be setting yourself up for a not so awesome guilt trip. 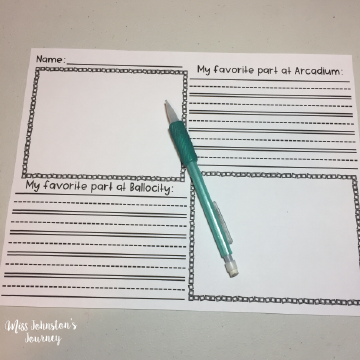 I'm going to give myself a list like I would for my students. A must and may do list. I think I will limit my must do's to 3, and 10 may do's. If I get my 3 must do's done by end of July, great! I can start working on my May Do list afterwards. I'm still thinking on my list, so I'll keep you updated on Instagram. I did, however, make my template, so if you'd like it. So there you go my friends. Enjoy your time, don't spend your whole savings, and limit changes. Don't set yourself up for a guilt trip. You don't need that. 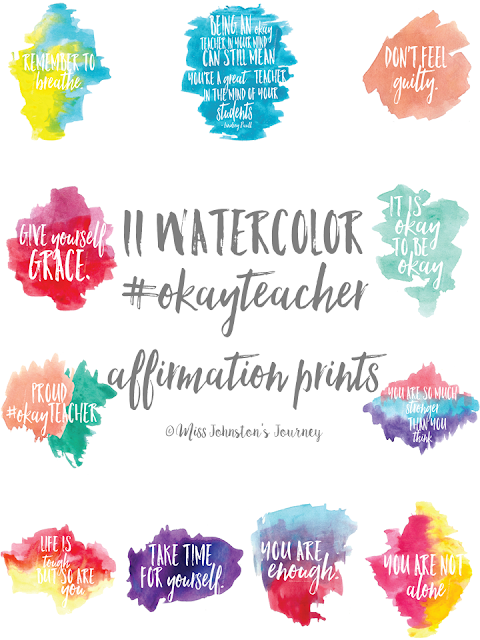 I've also uploaded 11 watercolor #okayteacher affirmations that you can print or save to your phone for extra reminders. 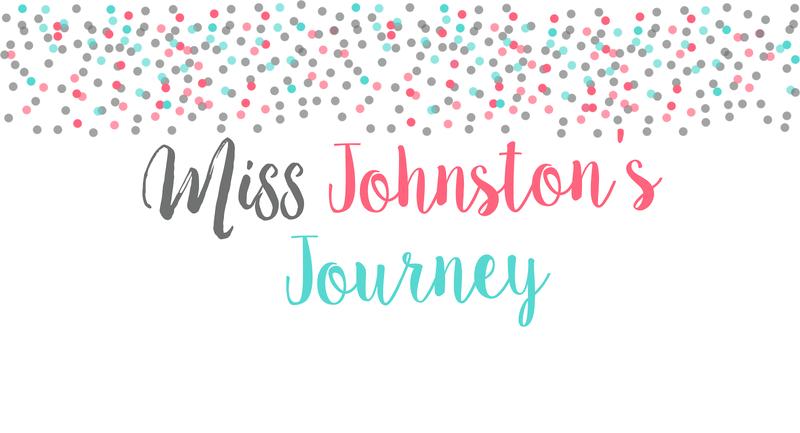 This summer I will be featuring other teachers (including bloggers, TpTers, mamas) to share their stories. If you haven't already, please check out this post by my friend Carlee from The Kindergarten Press. 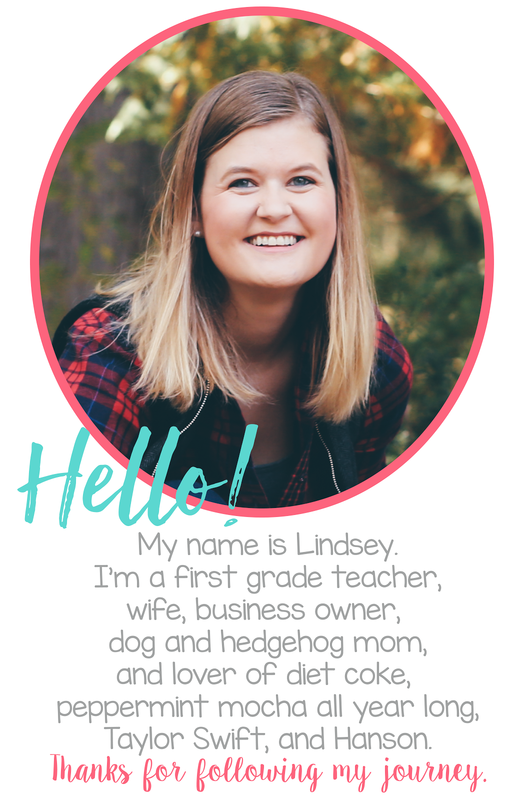 She shares her struggles with anxiety and postpartum panic disorder all while being a young teacher and new mom. Thank you Carlee for sharing your story! You're making a difference, my dear friend. We were going to a big place where a kid could easily run off in any direction. This scared the bajeezus (how do you even spell that?) out of me. So, I planned accordingly by making my kids shirts. 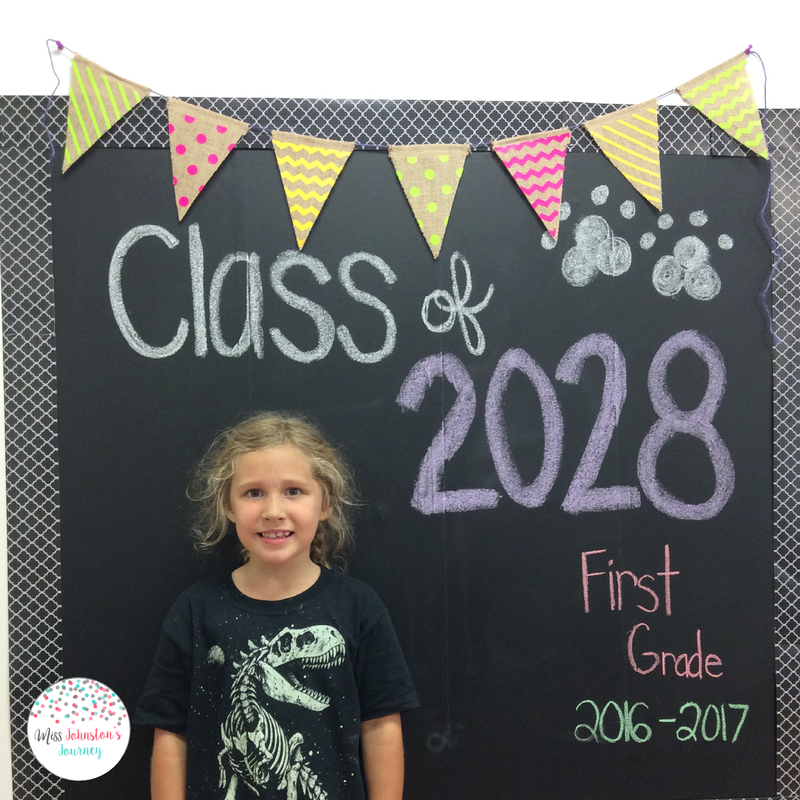 Now, most of my kiddos don't have a school shirt, so I purposely sized up to last them through the years. 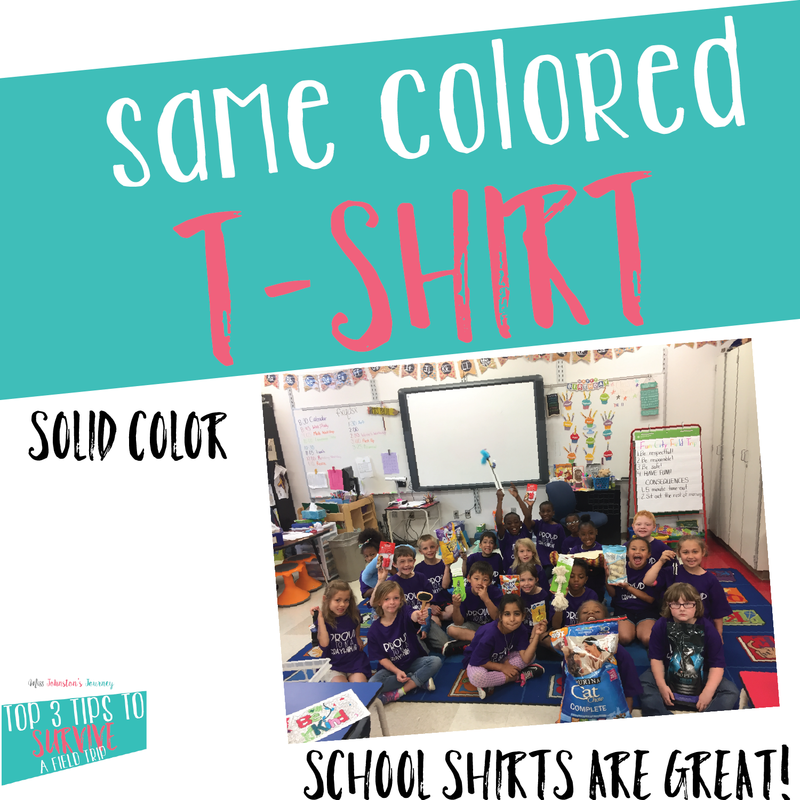 They loved them, and I loved that I could easily spot them with their purple tees. 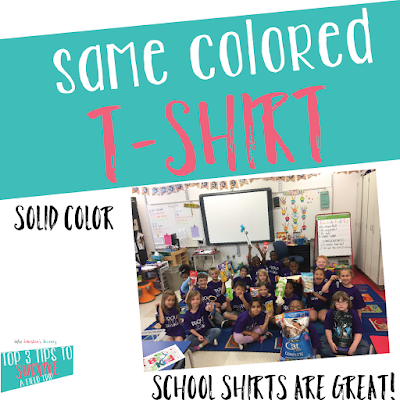 If your kids have the same school shirt, that would work well, but you could also just request that all kids wear a specific solid color shirt. You could even tie-dye! Our trip consisted of arcade games, ticket redemption, playing in a giant indoor jungle gym equipped with foam balls you can throw and shoot out of canons, and a pizza lunch. I was concerned about letting the kids go back to playing in the jungle gym after lunch, even if time allowed. 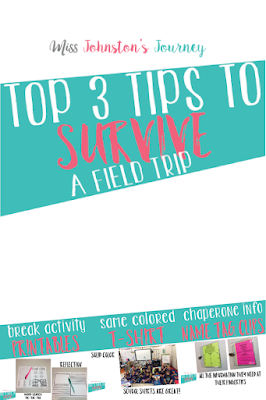 So, I brought some printables with me along with highlighters, pencils, and crayons zip pouches. 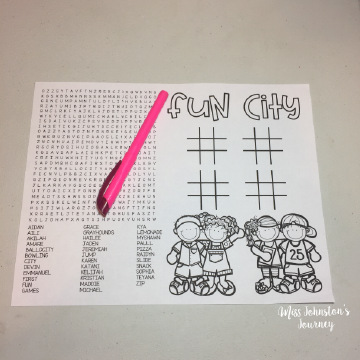 I made a word search using this website that included their names and attractions at our location. After lunch, I handed out highlighters and they chose to do the word search and tic-tac-toe for 10 minutes while we waited on our bus. It kept them busy, and my anxiety under control as they weren't running around. 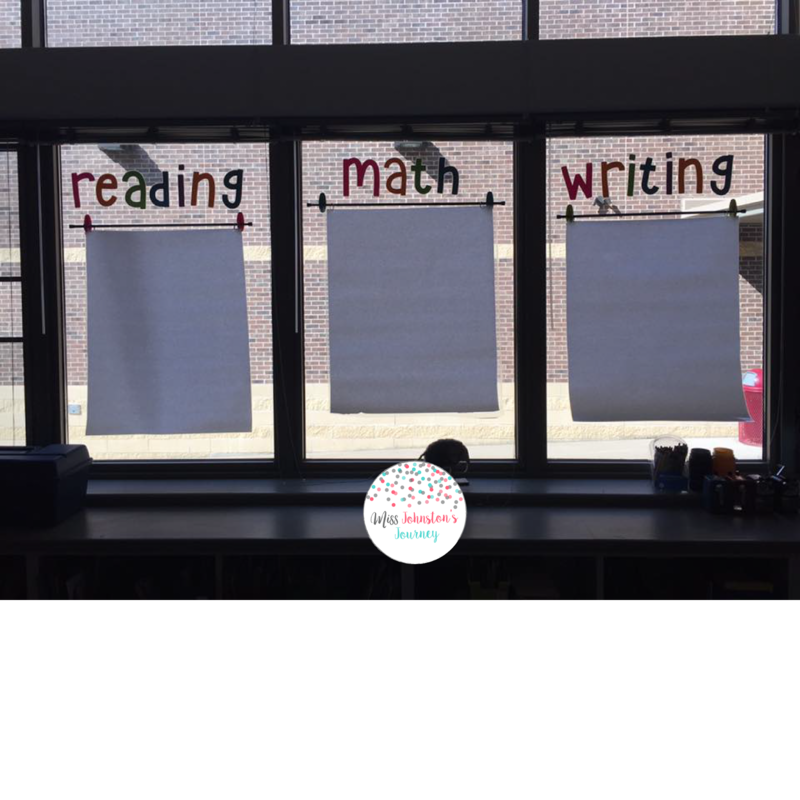 We did the reflection when we got back to school. 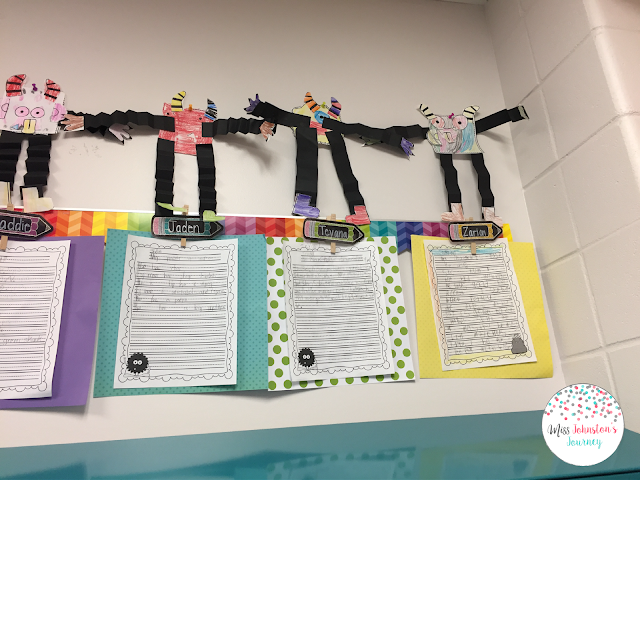 It was the perfect way to end our day and allow them to share about their trip with me. I was so excited to have parents willing to help out on our trip. This made it so much easier on me when I put all the kids into groups. 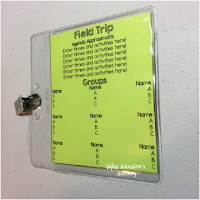 I wanted our parents to have all the needed information, but didn't want them to have to carry around a piece of paper. 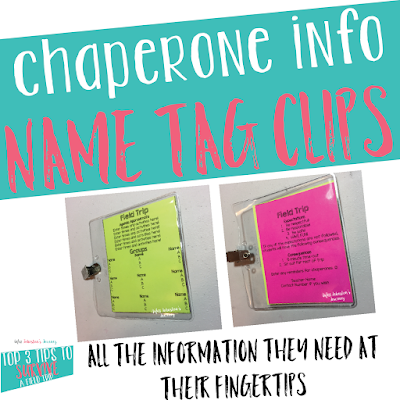 So I made mini information pages that fit into name tag clips I had access to use from my school office. 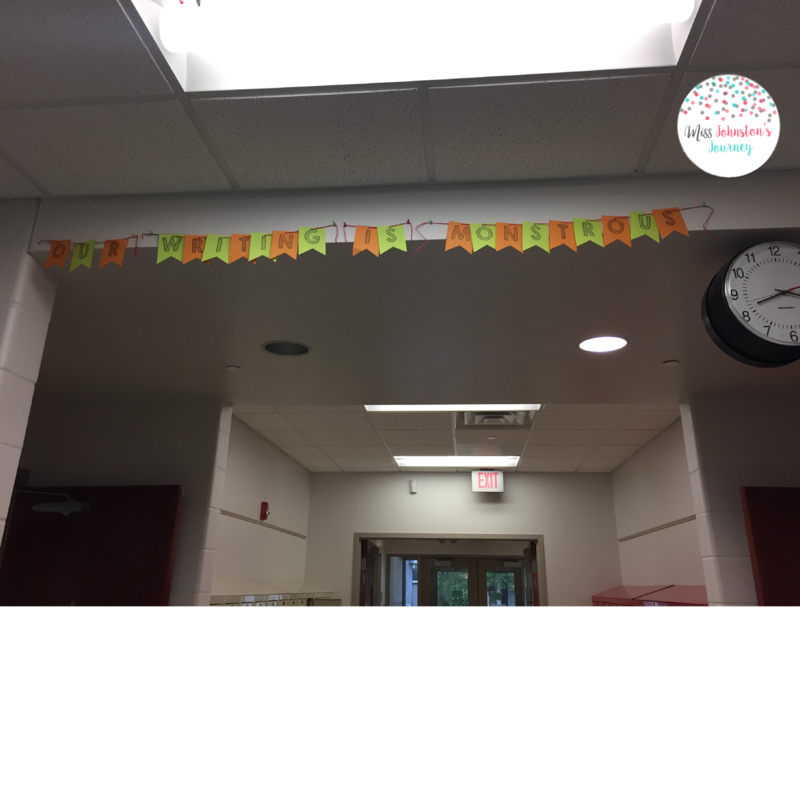 I included our approximate timeline so they knew what our activities were and when they were happening, a list of all of the groups so they could easily see who was with who, and our expectations and consequences (which I didn't have to give, THANK GOODNESS). 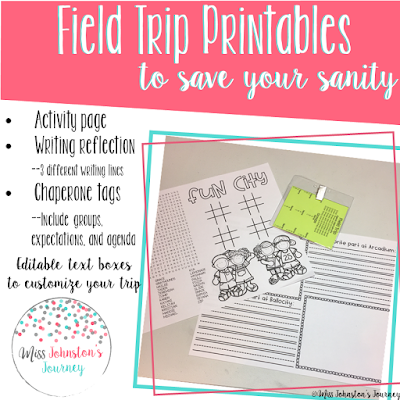 My kids and I reviewed these (1-3 PBIS) all week long so they knew they were not going to act crazy! Parents were great about clipping the tags to their shirts somewhere, so I could also keep track of them...totally unintentional, but super helpful. If you found these tips helpful, I also put together a product that includes the editable version of my activity page, reflection page (primary lines with dashes, primary lines without dashes, and smaller lines idea for upper elementary), and editable chaperone name tag clips. This product is on sale 50% off for 48 hours since posting this blog post. 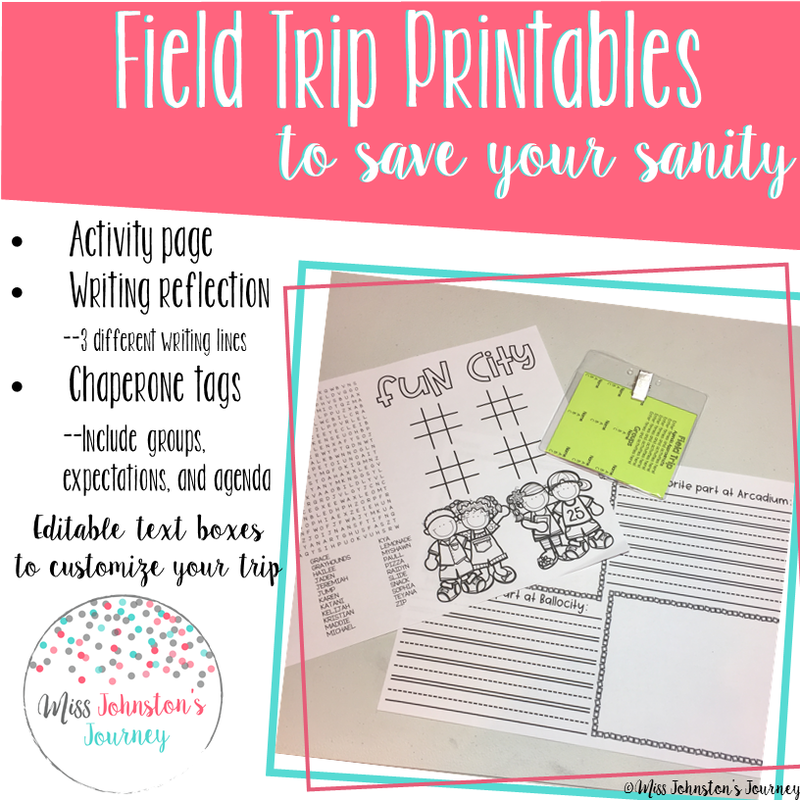 If you'd like to save these tips, just hover the image and save to Pinterest! After the response of my initial #okayteacher post, Learning to be okay with being an okay teacher, I decided to turn it into a series. 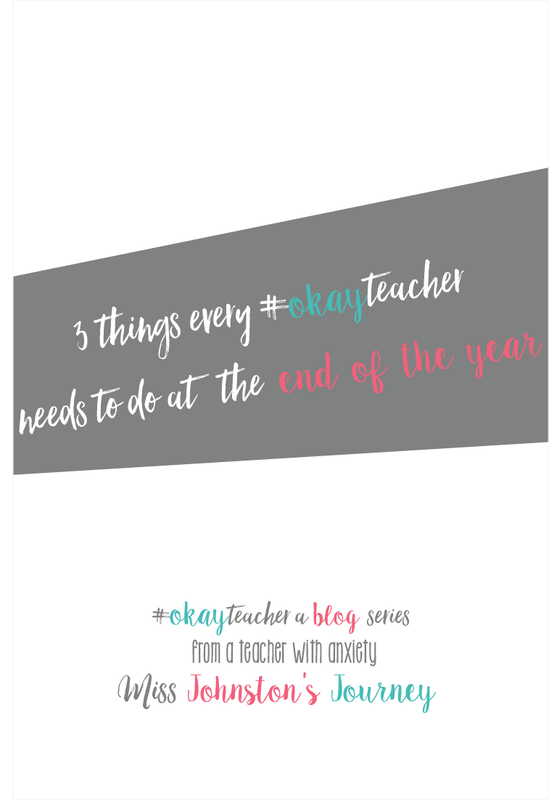 As the school year is coming to an end, I wanted to give 3 simple pieces of advice for any #okayteacher, and really any teacher. The end of the year is a stressful, but also fun time with our kids. There is a ton to get done, and it seems like everything happens all at once. Here is my top 3 tips to help you survive and feel okay with being an #okayteacher. 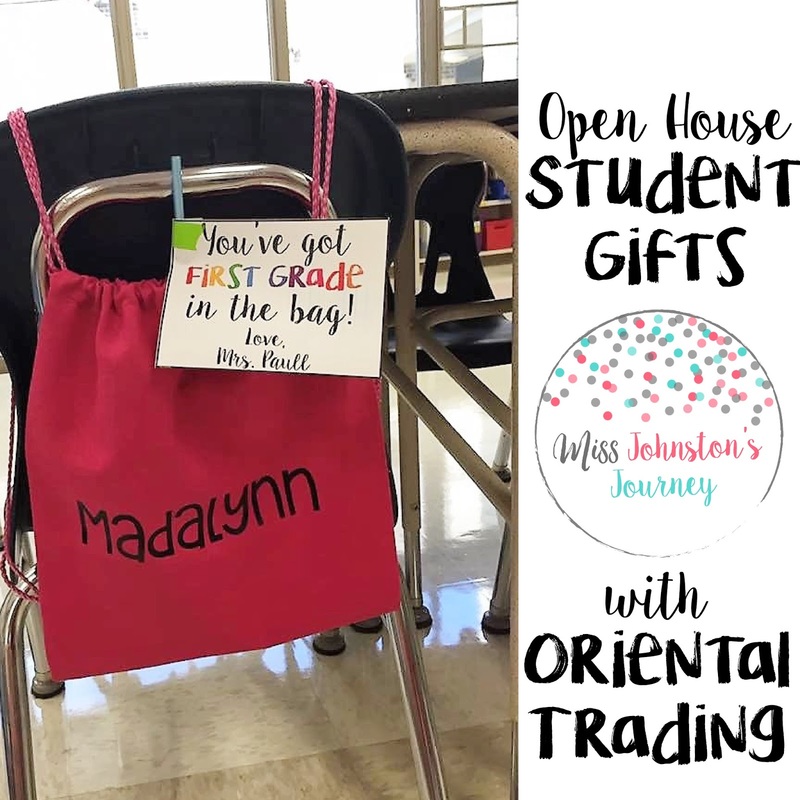 If you're a teacher on social media, as an avid poster or an avid browser, you're going to start seeing teachers prepare their end of the year gifts for their students. 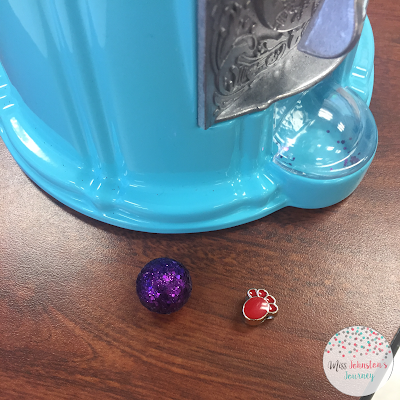 You're going to see really cute ideas! Some you may feel inspired by. Some you may feel like you're the worst teacher in the world, because all you were planning on giving them was something simple. You will see inexpensive gifts, and you will see expensive, time consuming gifts. 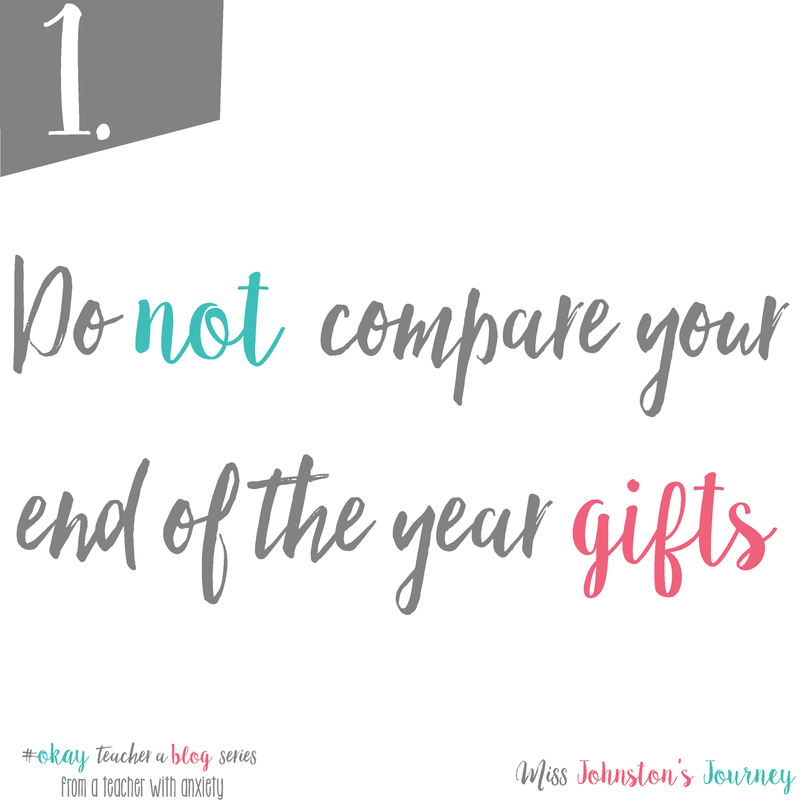 Do not feel obligated to go over the top and deep into your wallet for your student gifts. 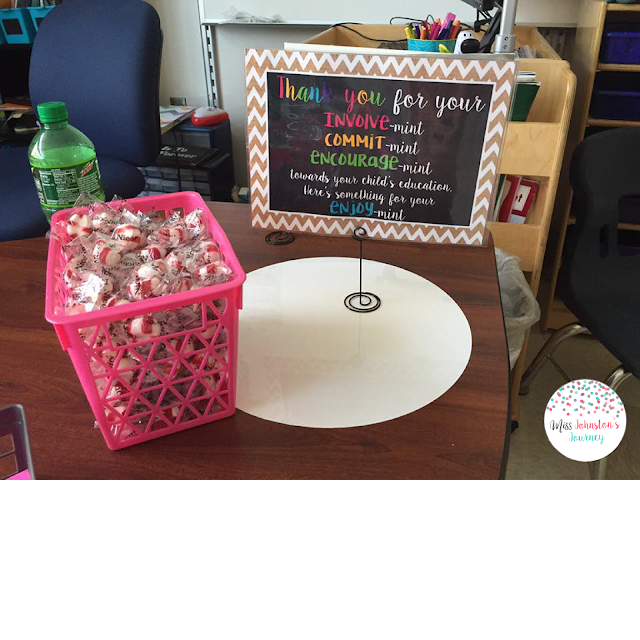 You do things for you students all year long. 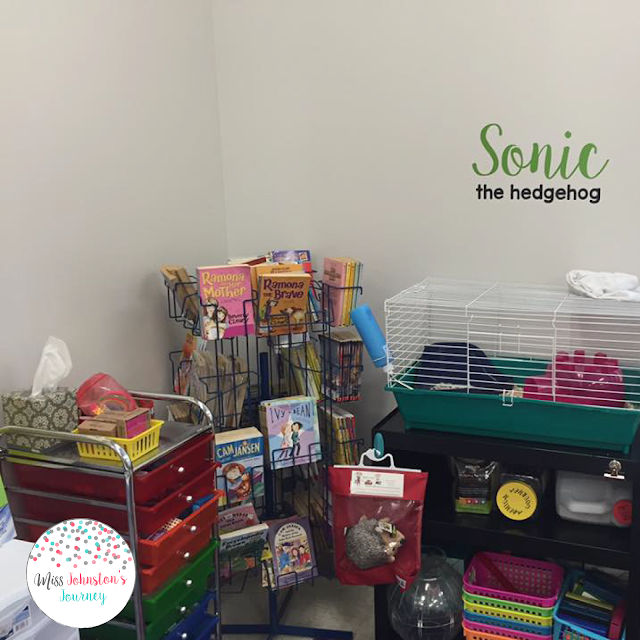 Whether that is purchasing extra supplies, treating them to a fun snack, or simply being their amazing teacher. 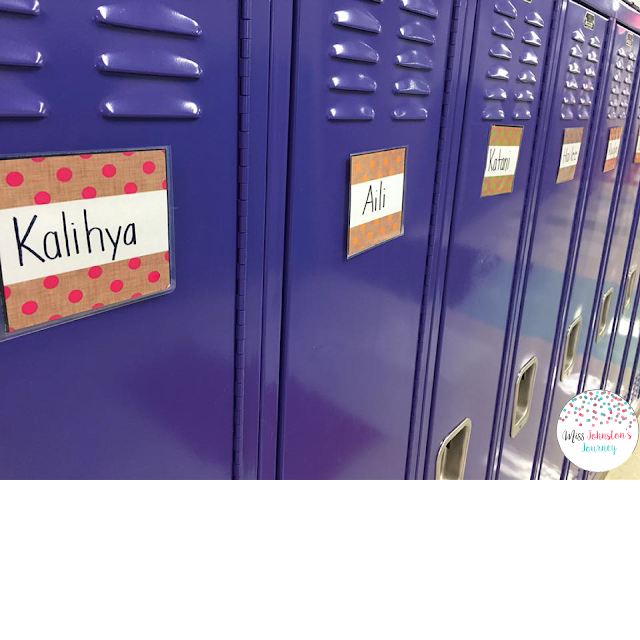 Your students are not going to know how much money or time you spent on them. They will know how much you love them, and that doesn't have to be an elaborate expensive gift. The best gifts come from the heart, and those are the gifts your students will remember and cherish. 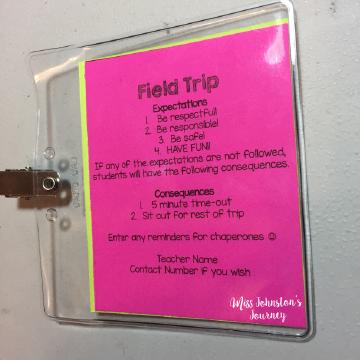 This is one thing I did for my students last year. It did take some time, but it was time well spent. 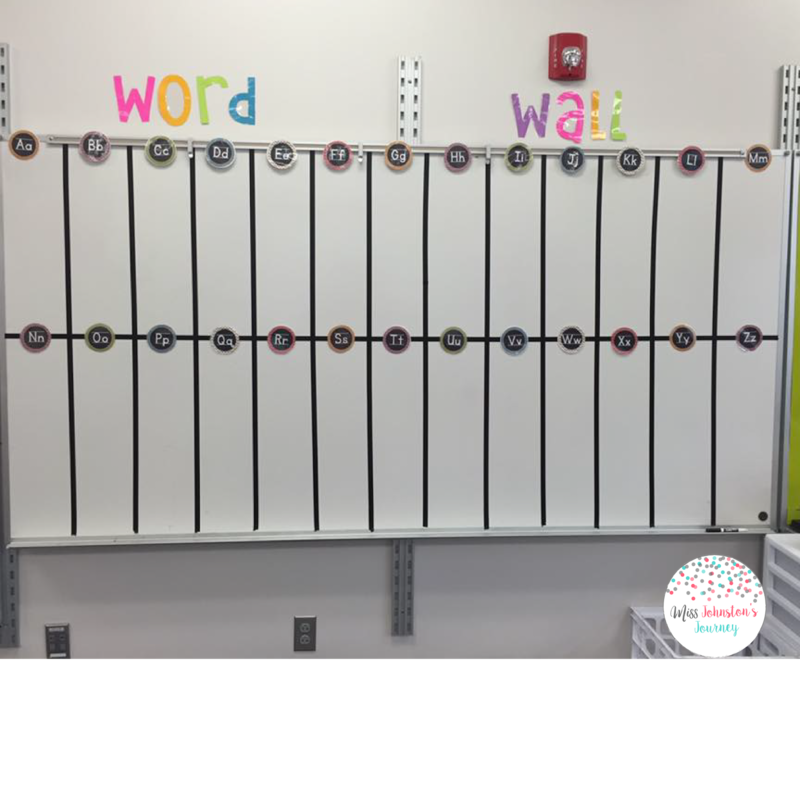 I wrote each of my students letters. I reflected on the year I had with them, told them how special they were, and how proud I was. I included paper, pencil, envelope, and stamp, so they could write me back this summer. I received letters from almost every one of my students last summer. You probably have some days built up and can take a day off just for you. 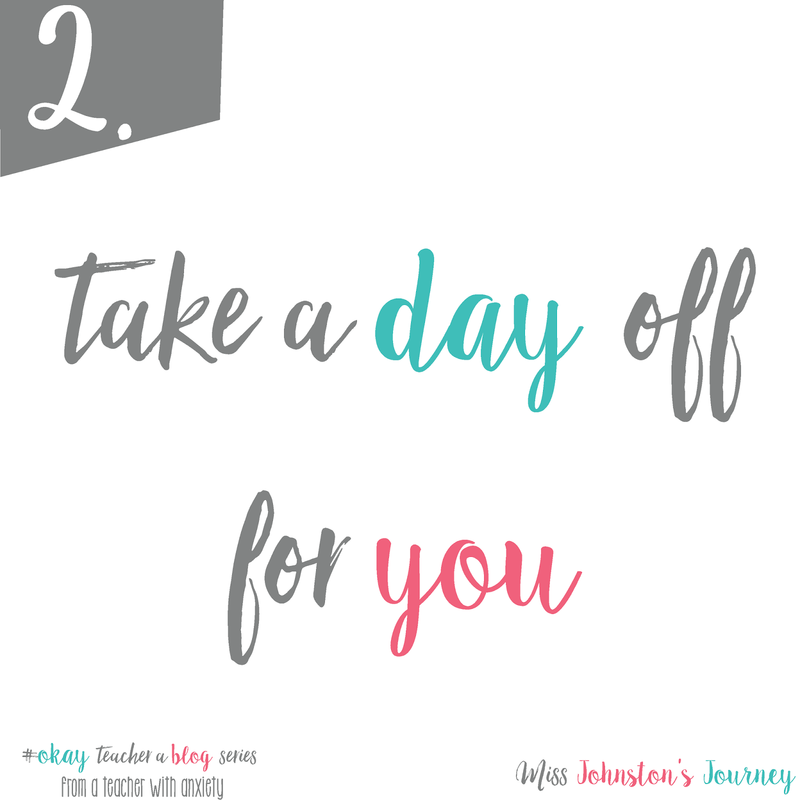 At the end of the year, it is easier to take a day off because your classroom has routines and procedures established, and that makes it a little easier to take a day to yourself. I took my first personal day ever for just me last month. I slept in, went to the spa for a massage (thanks to my amazing husband), and did nothing. It was the best thing I could have done for myself. If you can't take a full day, try taking a morning or afternoon. If you still can't take a day from school actually off, take a night or weekend off from school work. Take time for you. There is no shame in that. 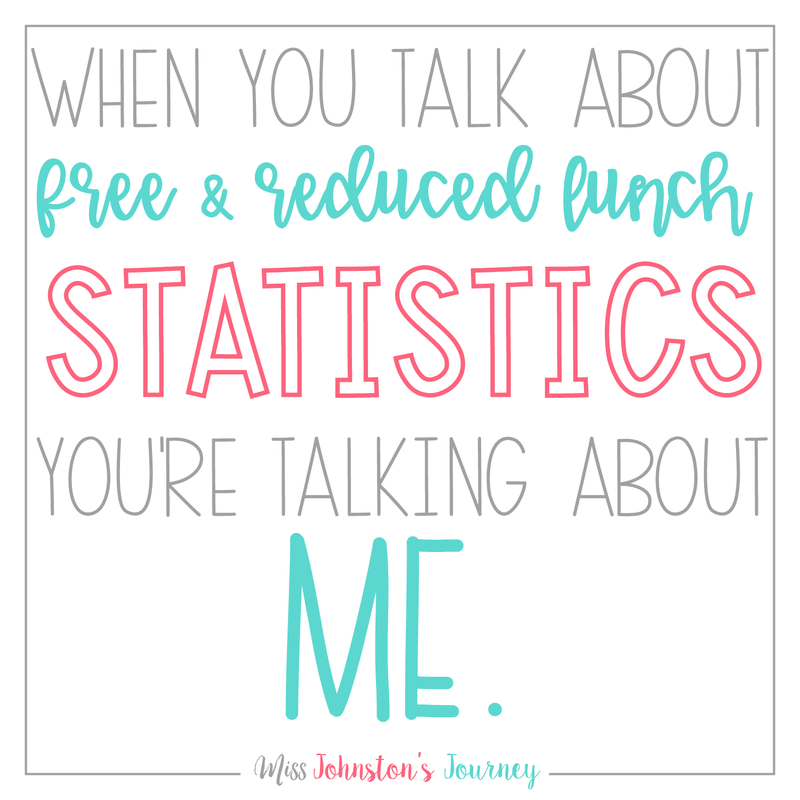 Today I went to the movies with my husband rather than lesson planning. My plans are still yet to be written as I work on grad school and try to enjoy my Sunday evening. 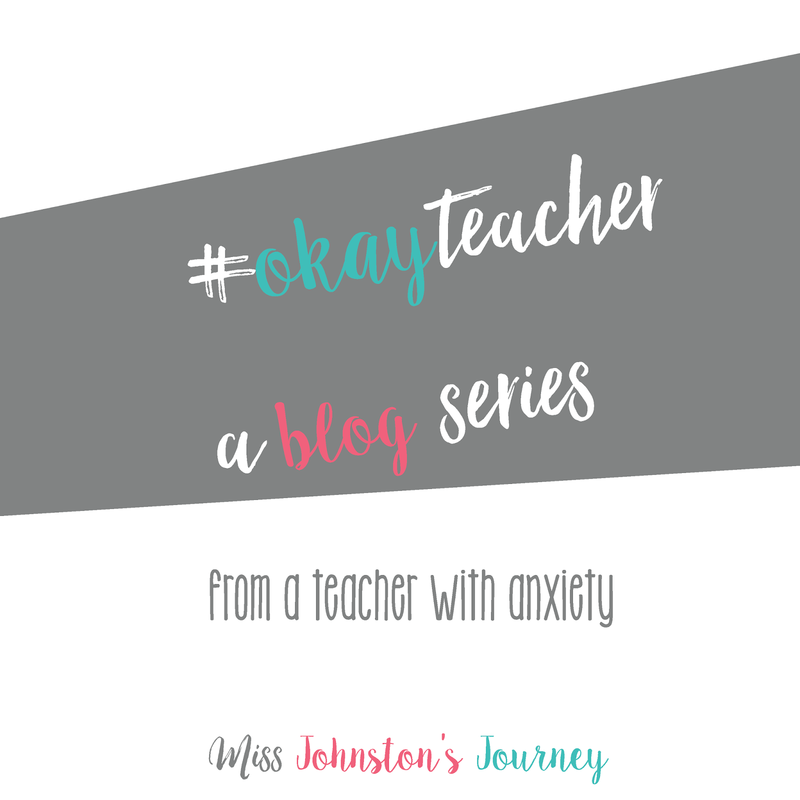 When I published my blog post back in January about being a teacher with anxiety, I had no idea it would touch so many people. I love hearing from each and every one of you. 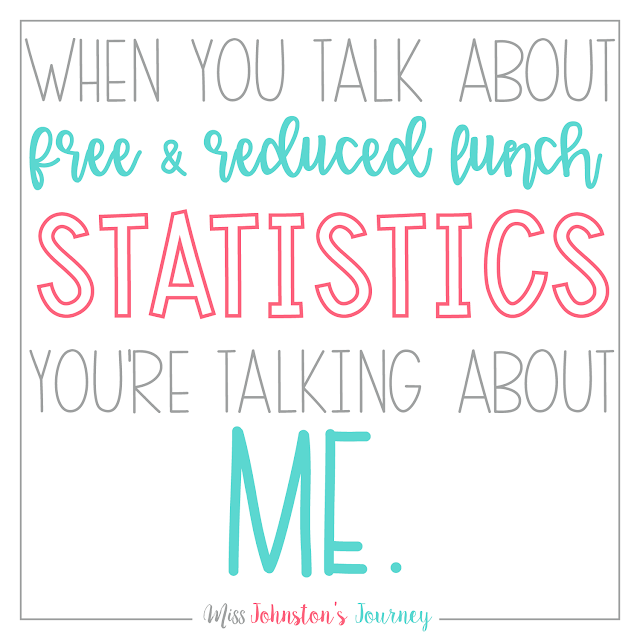 Your stories help me, too! 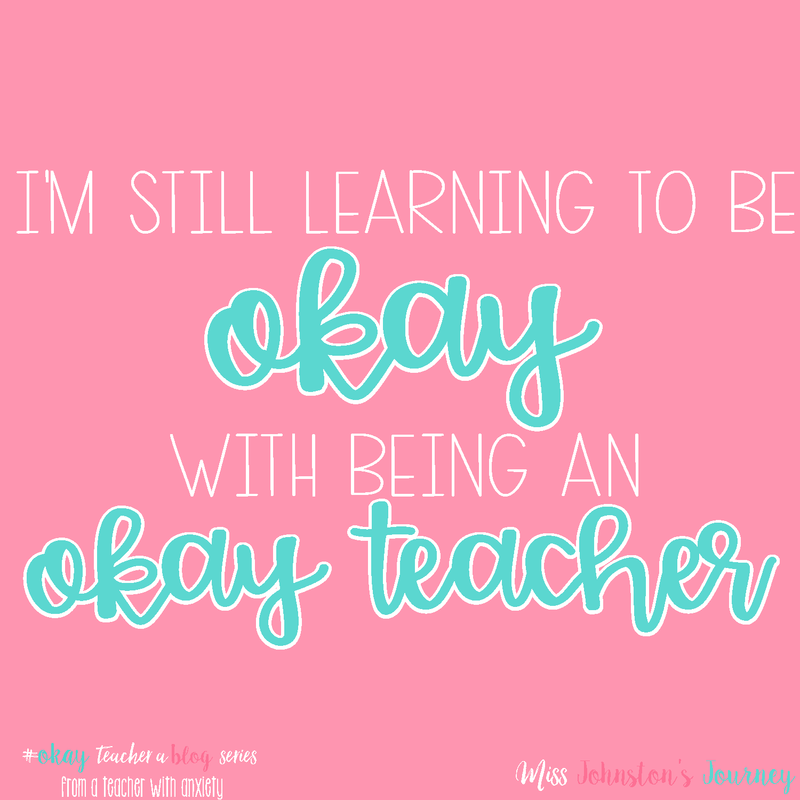 So I decided to unite us all with an #okayteacher tee. When you wear it, I want you to be reminded of all of the other teachers that are right there with you. Doing everything possible while still being human and living a life outside of the classroom. 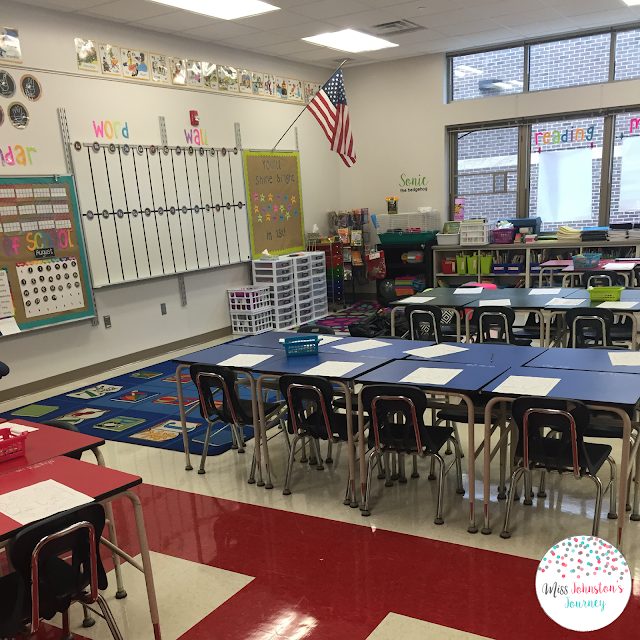 💕 "Because being an okay teacher in my mind, can still mean that I'm a great teacher in the minds of my students." Tee is available on lpaulldesigns.com and also linked in my profile. The weather is getting nicer and if you had state testing, you're probably done or will be soon. April and May is the best time to step away from the lesson plans. Take your class outside and let them be kids. Play a game as a class...tag, kickball, or what my class just did the day before Spring Break...Duck, Duck, Goose. It is so much fun watching your kids just be kids! They work so hard, they deserve to have fun. I know it is hard when you still have standards x,y, and z to cover, but giving your kids a 15 minute break will be okay. Rainy day? Show a video. Don't be ashamed to turn on a Magic School Bus episode or Bill Nye. They will survive, and so will you. Who else has had this #okayteacher moment? 🙋🏼 Today it was for the simple fact I didn't want to write sub plans, and was afraid my voice wouldn't have made it through the day. Cheers to the rest of the school year, and cheers to being an #okayteacher. 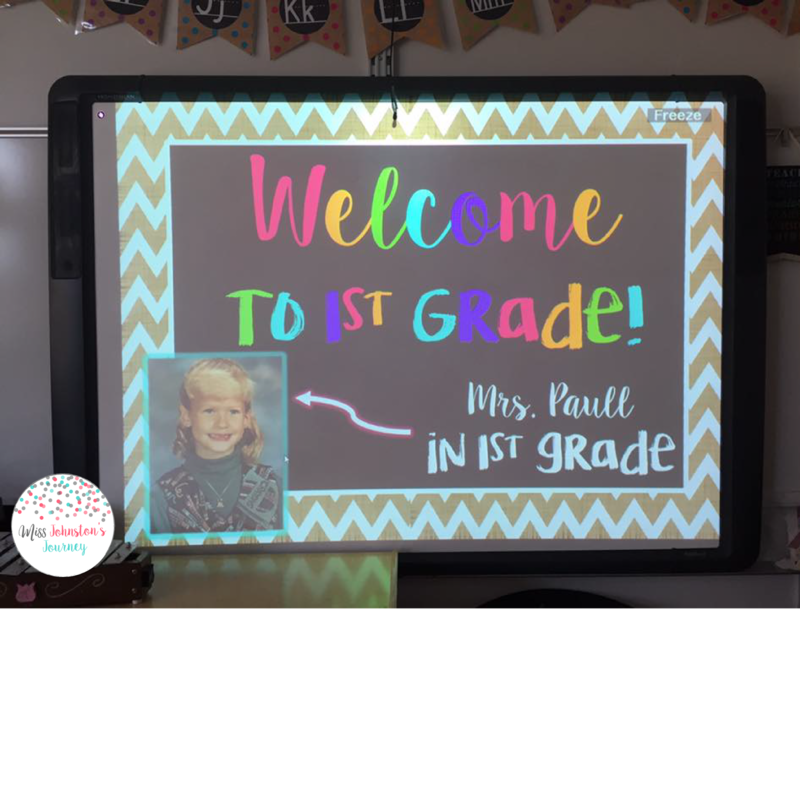 Stay tuned for more #okayteacher posts. I have loved hearing each and every one of your stories via email, messages on Instragram and Facebook, and comments. It has warmed my heart to let teacher unite through their struggles and feeling of inadequacy. You are enough. You are more than okay. 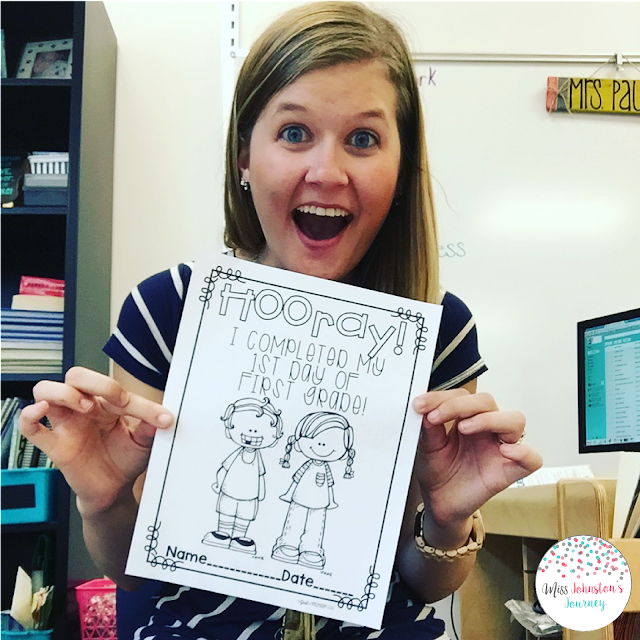 I love seeing your #okayteacher moments. 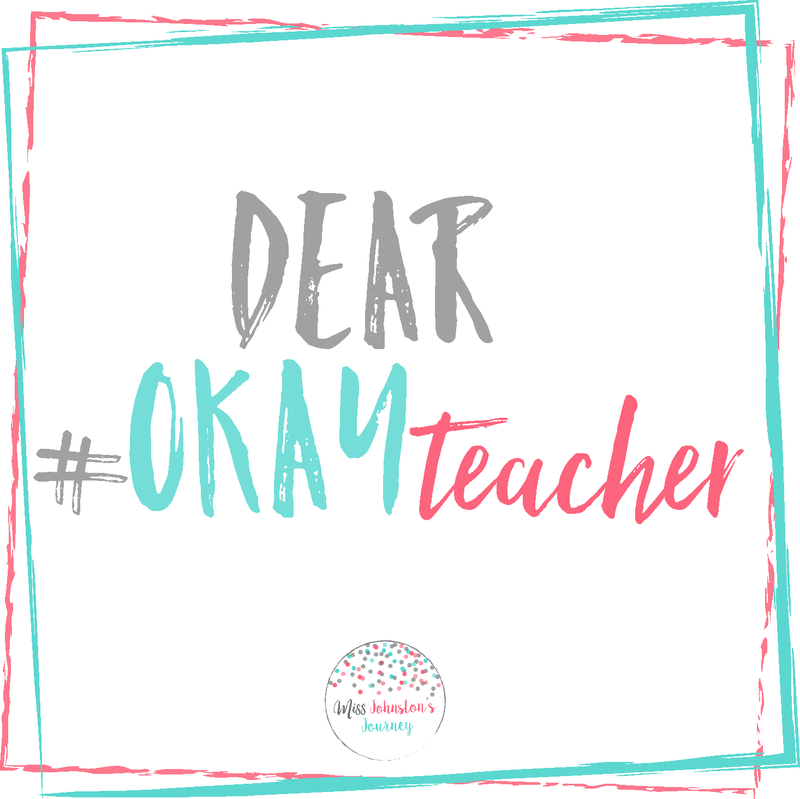 Please continue to share them using the #okayteacher on Instagram. 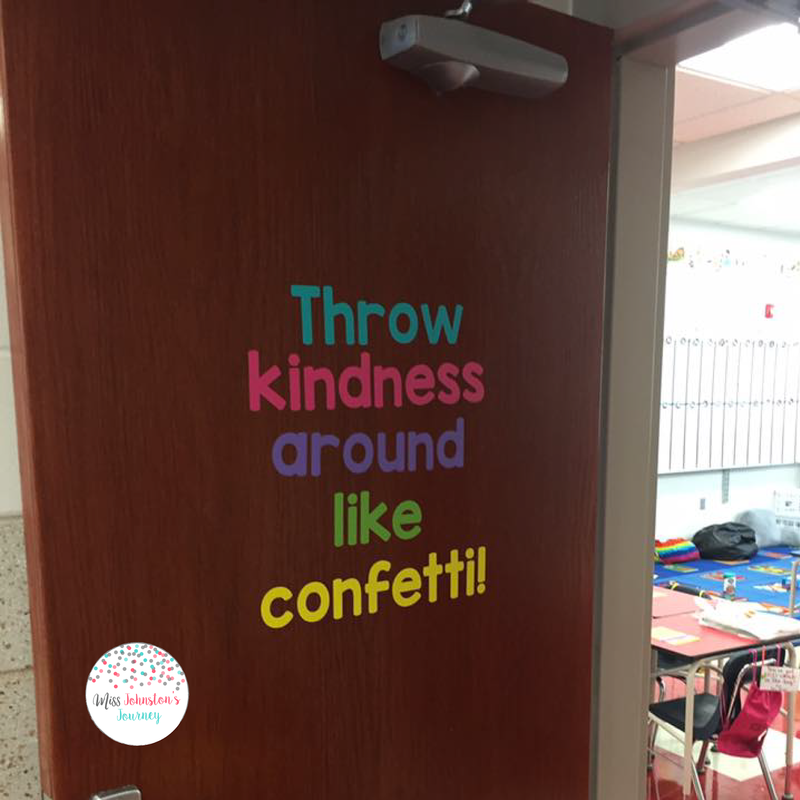 My school is a PBIS school. 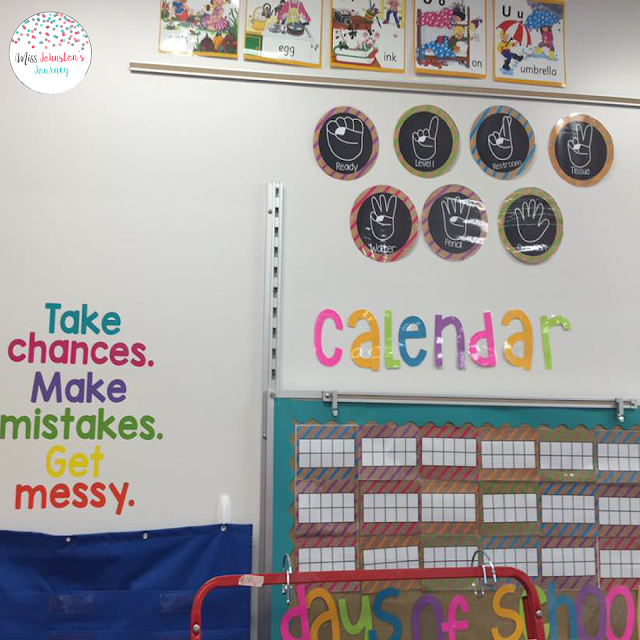 That stands for Positive Behavior Interventions and Supports. You may have heard of it, you may not have. Either way, I came up with an idea to help encourage my students' positive behavior that can be used whether or not you're a PBIS school. 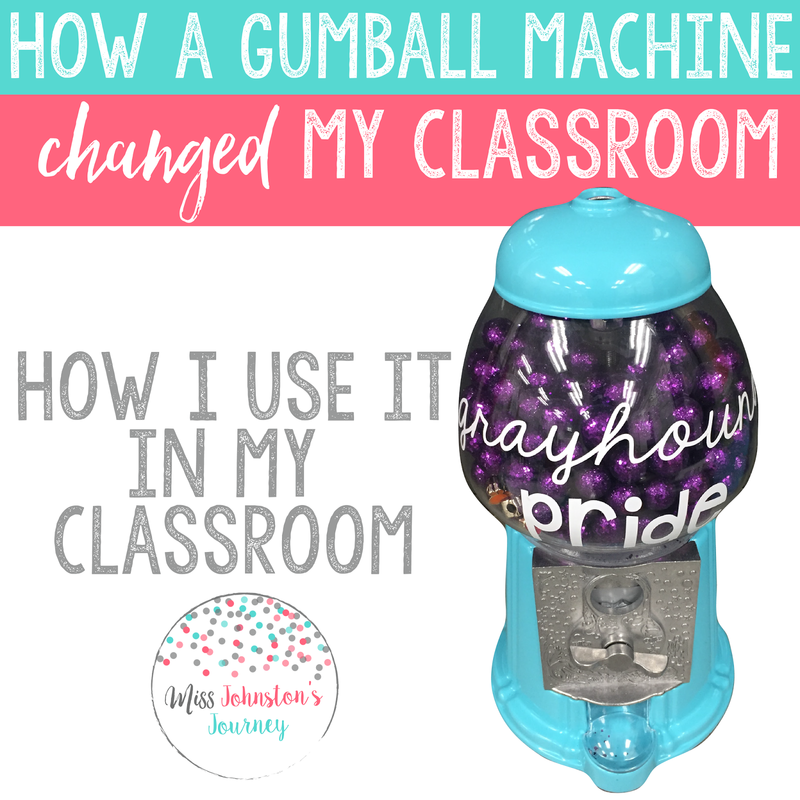 I give you, the gumball machine. The gumball machine is filled with purple glitter "gumballs" (from Hobby Lobby, here) and colorful paw print beads (from Oriental Trading, here). 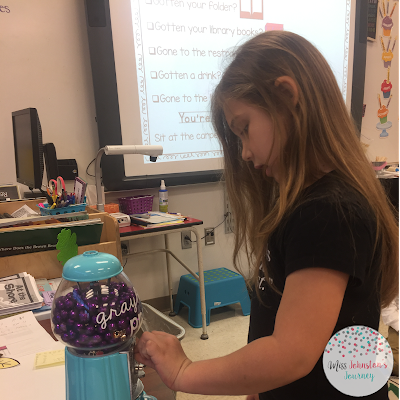 When I introduced the gumball machine last month, we decided what each item's prize would be. My students chose rewards that THEY wanted. 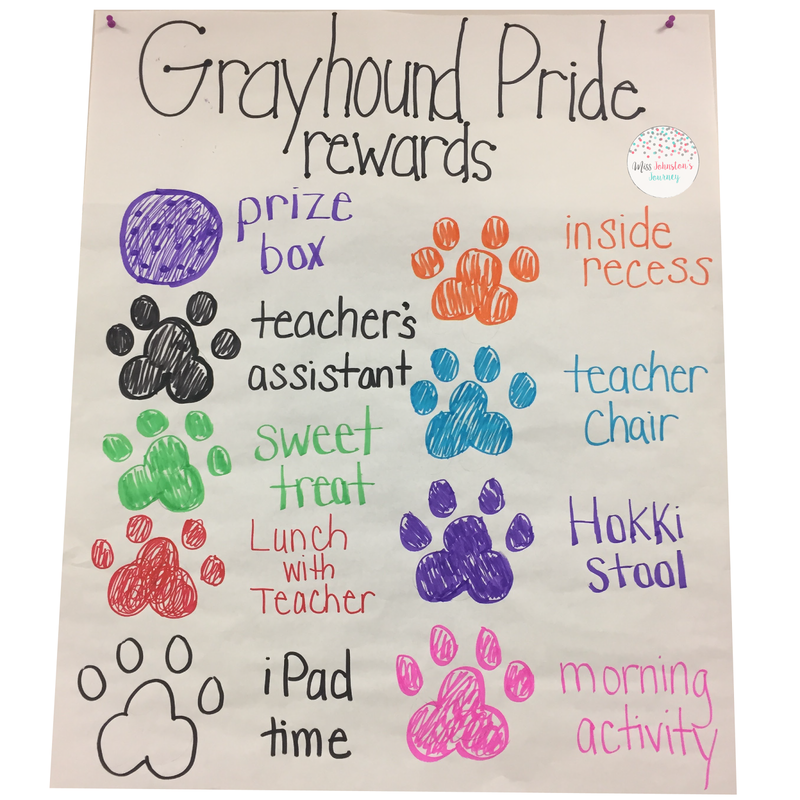 Throughout the week, my students earn Grayhound Pride tickets for showing exemplar behavior by being respectful, responsible, and safe. Every Friday, I draw 2 of these tickets. They cross everything they have, hoping to be drawn! 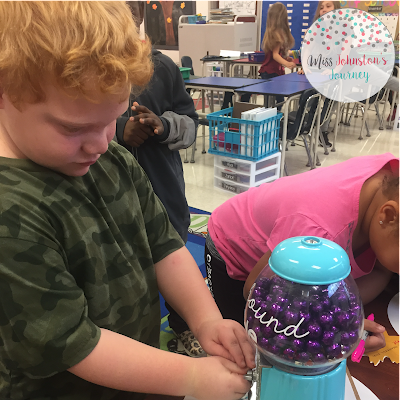 These students earn a coin for the gumball machine. They come up, put their coin in, and BOOM! Out comes their reward(s). Sometimes they get one, sometimes two, sometimes several. They earn every prize that comes out. 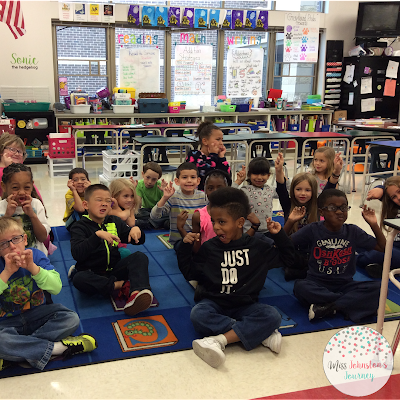 The paw beads are smaller than I had hoped, so sometimes they come out in groups, and of course the kids love when that happens! I love the bright colors of the paws and how perfectly they fit with our new mascot, grayhounds. 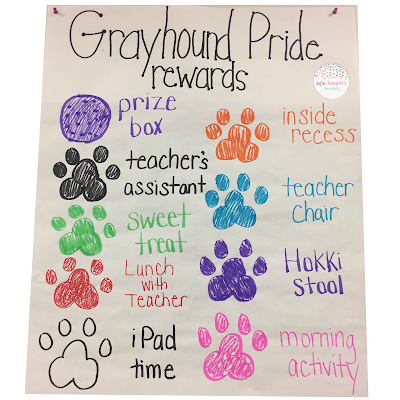 My district did away with individual mascots and colors this school year, so now all 5 elementary schools, 2 middle schools, and 1 high school are purple and gray grayhounds. They're SO excited to see what their peers get. The most common is the purple gumball. Do you see how excited he is?! I love it! 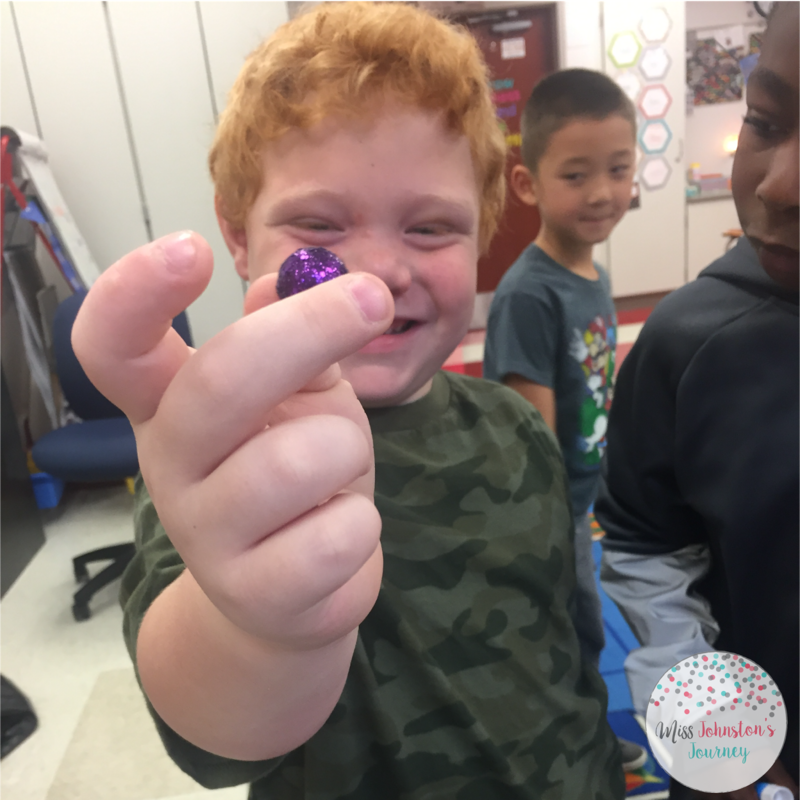 Kids are more excited about the paw beads than they are the purple gumball. I think it has everything to do with the fact they chose what the prize would be. The only thing that costs me money is the sweet treat, which is just their favorite candy, so it's not too expensive, and keeping the prize box stocked. I hope that this inspires you and gives you ideas of how you can reward positive behavior in your classroom! Please comment or email me at thrivingin3rd@gmail.com if you have any questions!